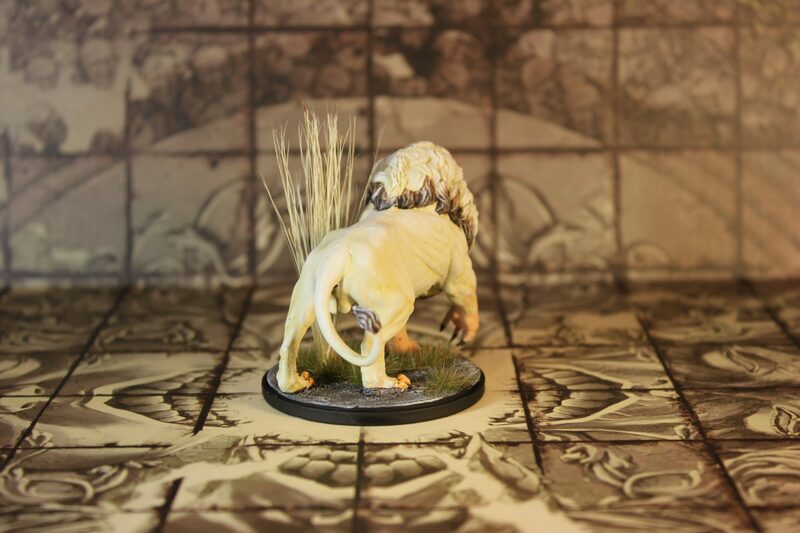 My plan was to paint the 4 survivors and at least the White Lion before starting to play… but that plan went out the window when I got the game as we juuust want to do a test run and lo and behold, we are now at year 5 having defeated both the White Lion, the Screaming Antelope, the Butcher, the Manhunter and have had our first offspring: A girl with an unhealthy addiction to big axes. More about her another time. 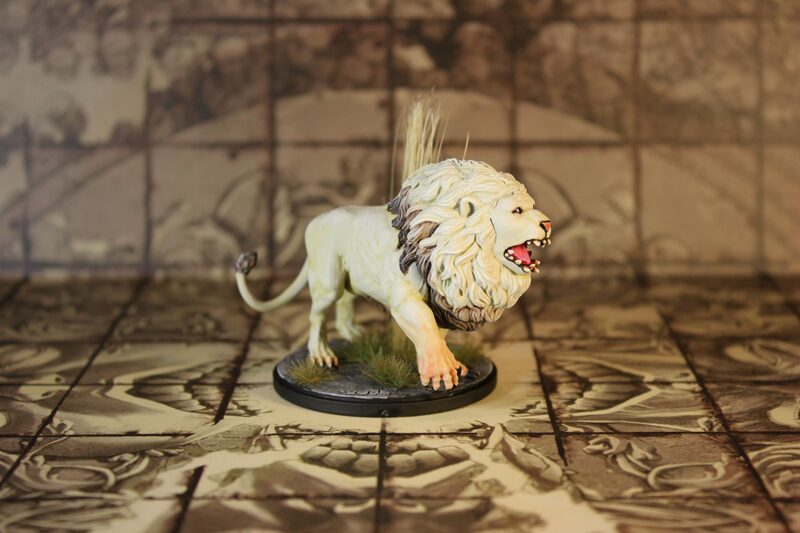 However, I finally got around to start painting and I just finished the White Lion and I am very happy with the result especially as delicate colours is not something I find easy to paint. 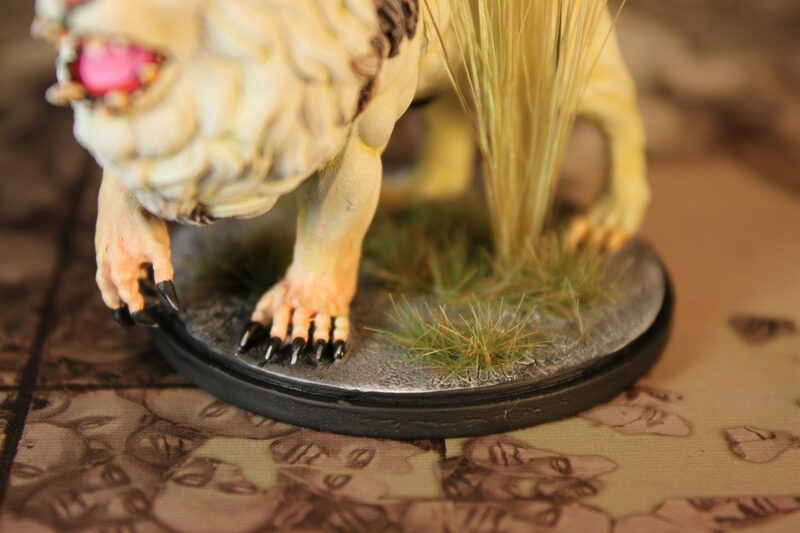 I’m especially pleased with his hands. 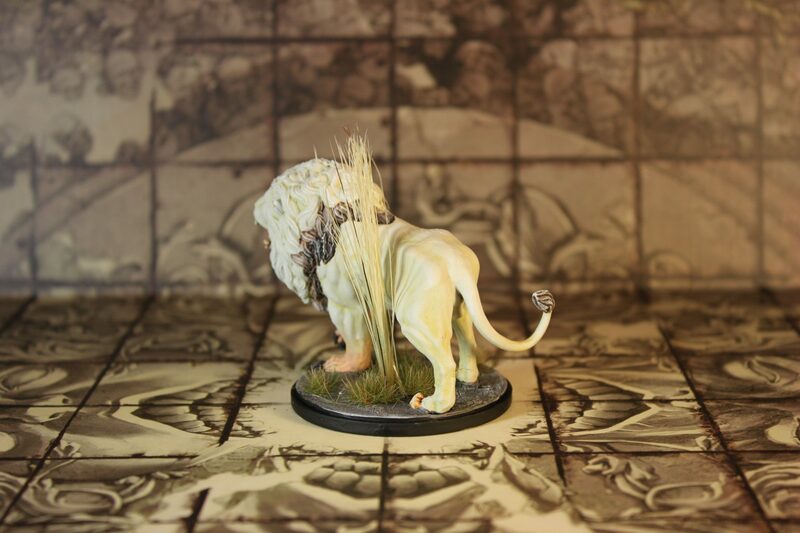 I also like the dark rim on his mane suggested by my partner, which solved the problem I have with pure white lions as I think they look too vanilla. 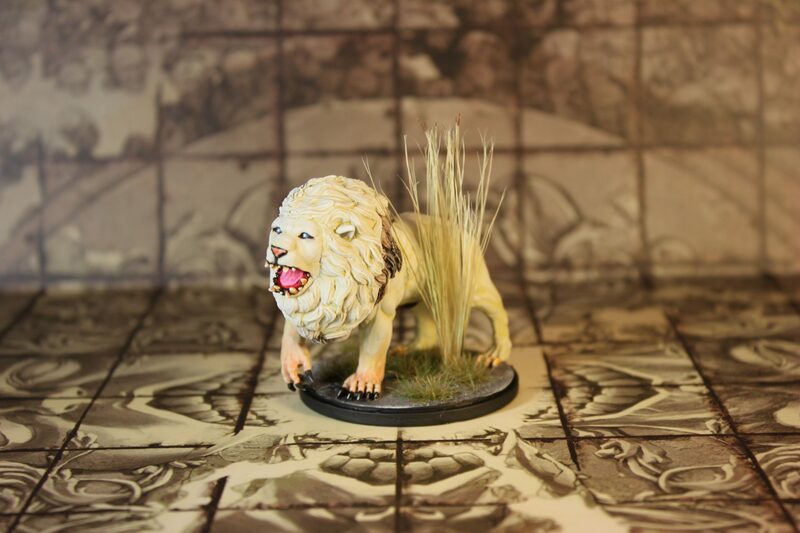 But on the flip side, dark manes defines the definition of a white lion. 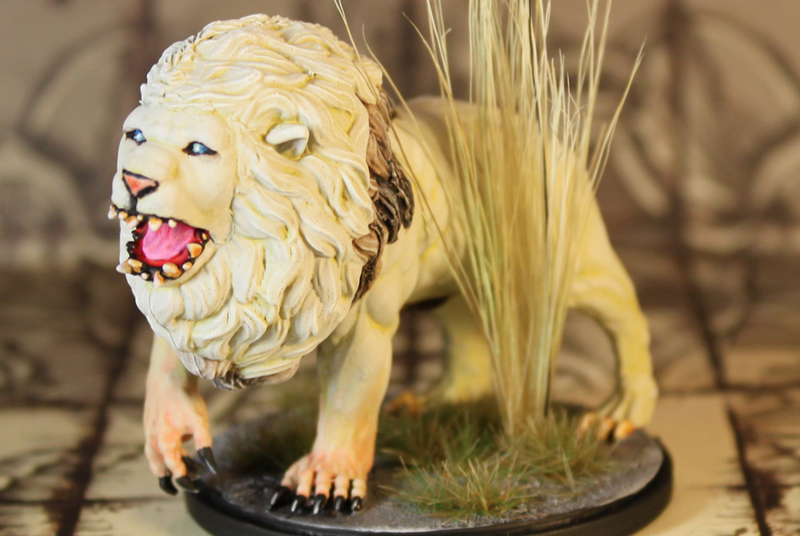 I tried to cover all gabs with green stuff, but struggled with his shoulders so I extended the mane to cover. 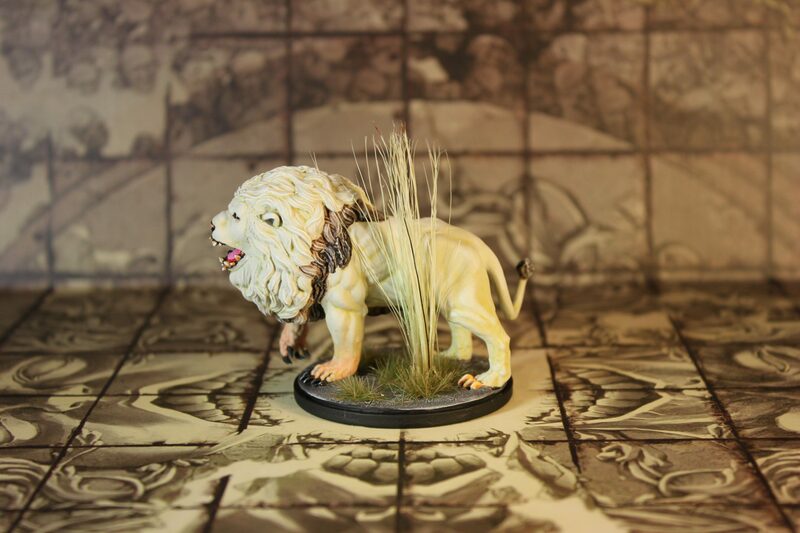 I also didn’t do the best job of filling the gap on his left thigh, but I saw a White Lion by UpDogGames with a lot of tall grass, so I used that idea to cover that spot with a single tall grass tuft made from a brush. 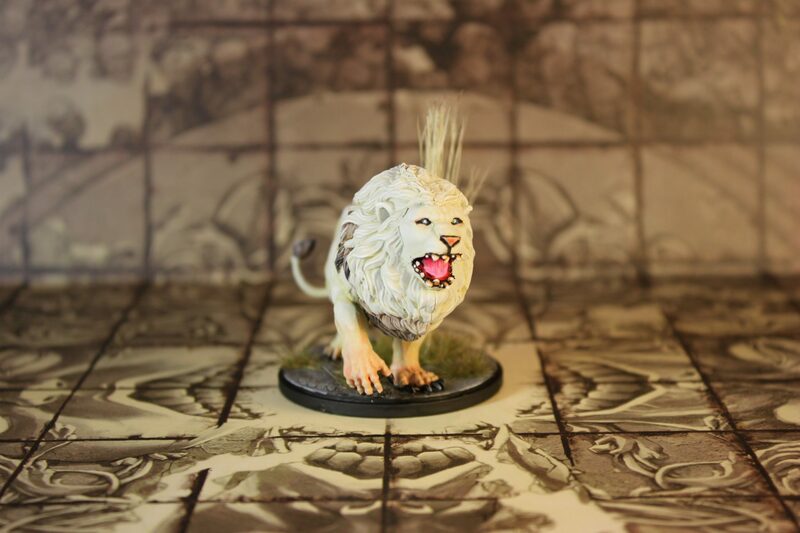 Anyway, enough writing. 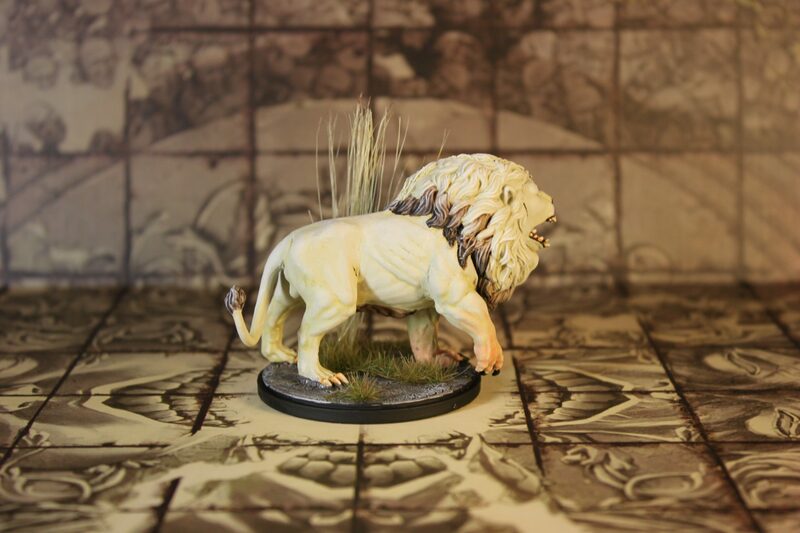 Here’s my first Core Set miniature: The White Lion! 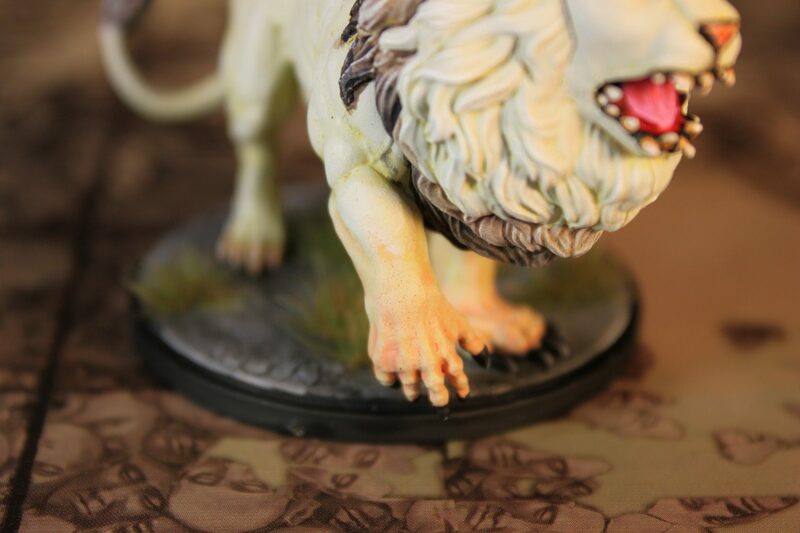 Details of the Lion’s hands. 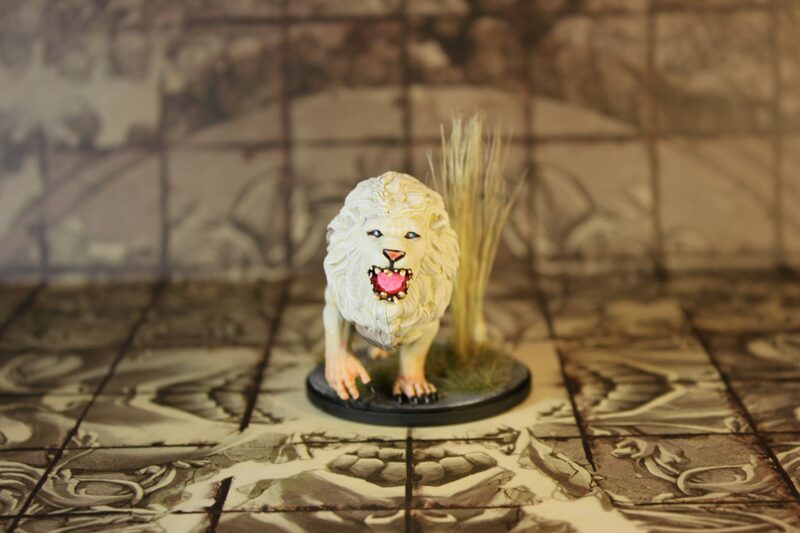 Wanted this to be really subtle so it fits the story around the story where the survivors realise it is human hands.